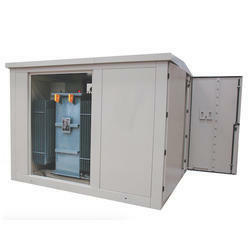 Manufacturer of a wide range of products which include unitized substation and compact substation. 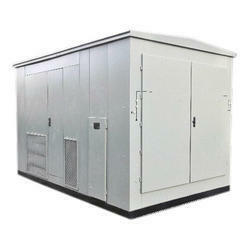 Compact Substation or Unitised Substation or Package Substation. We are manufacturing CSS with Oil Type & Dry Type Transformer. Ratings are 11KV/433V - 160 KVA , 250 KVA , 315 KVA , 400 KVA , 500 KVA , 630 KVA , 750 KVA , 1000 KVA , 1250 KVA , 1600 KVA and 2000 KVA. Our organization has successfully expanded its business in market owing to the offered elevated quality range of Compact Substation. This substation is an enclosure containing medium voltage (MV) switchgear, low voltage (LV) switchboards, distribution transformers, connections and auxiliary equipment to supply low voltage energy from medium voltage systems. Under the guidance of highly experienced engineers, our offered substation is manufactured using premium grade components with the assistance of pioneered methodology.